Get Your Own Piece of Margaritaville Memorabilia and Support Lone Palm Foundation at the Same Time! Most Parrot Heads were saddened last year when it was announced the iconic Margaritaville New Orleans Restaurant was closing its doors. Although it was a bittersweet goodbye, there’s a silver lining within this story. The nice folks at Margaritaville contacted us and offered to donate several items that were used within the restaurant. We jumped on the offer to grab up some great Buffett memorabilia and want to share this opportunity with all our Parrot Head community. So if you’d like to snag your very own piece of the now closed NOLA Margaritaville, read on for details below. The items being sold include tables, chairs, barstools, and various plates all used in the restaurant. As such, they may have some imperfections but are all in good condition. 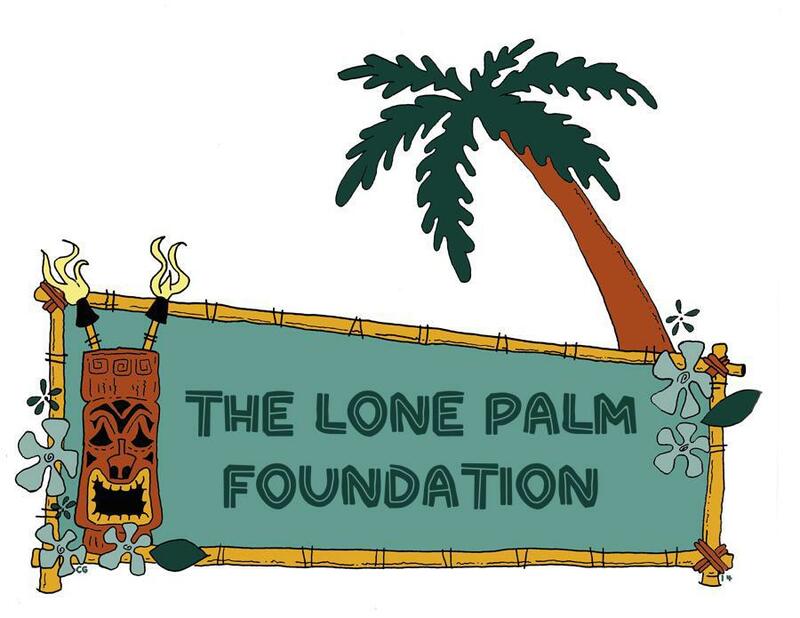 The money raised from the sale of all NOLA Margaritaville items will benefit the Lone Palm Foundation (LPF), which is the official charitable organization of PHIP. LPF is a 501c3 registered non-profit with the goal of supporting Parrot Heads and the social and environmental needs and concerns within their communities. The LPF has set up a “Parrot Head Emergency Phund” with the purpose of providing financial assistance to Parrot Heads in need during a natural disaster. For more information on the Lone Palm Foundation, please visit our website at www.lonepalmfoundation.org. Currently, the items are located in two places: Oklahoma City, OK and Johnson City, TN. The first round of items we will be selling will all be located in Oklahoma City. There will be another sale of all the Johnson City items at a later date TBD. Please keep this in mind as some of the items are rather large, and heavy, and costly to ship. You will be responsible for coordinating shipping or pickup of any items you purchase. If you live closer to Johnson City, you may want to consider waiting for those items to go on sale. All items have been set up to view in a Dropbox folder. You may view the items by using the following link: https://www.dropbox.com/sh/94pw4aufowf9i7e/AAD9UFixFMVZlFApUlAchR5Ra?dl=0. As you are looking at items you would like to purchase, I would recommend having one to two alternatives in the event your first choice is not available. The sale will begin Saturday, July 30th at 11:00 am CST. At that time, you will need to send an email to myself, Sara Kessler, the Director of Finance for the Lone Palm Foundation, at sara.kessler@aol.com. Please title the email “NOLA OKC Sale” and in the body of the email state your name, Parrot Head club you belong to, and phone number where you would like me to contact you. I will then begin calling each person based on a first come, first serve basis until all items are sold. After that point, I will respond to any emails explaining there are no more items available for sale. Please note, any emails sent prior to 11:00 am CST will not be answered. If you have any questions, please send an email to me directly at sara.kessler@aol.com.